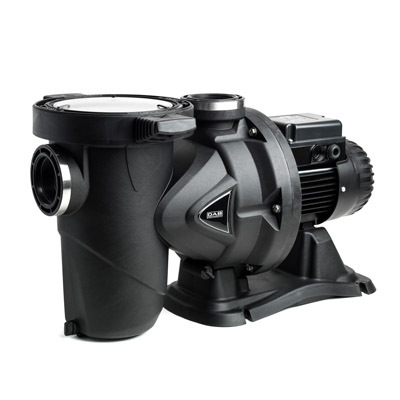 High performance self-priming centrifugal electric pumps with built-in high capacity prefilter. Motor completely isolated from the water. Extremely quiet and highly reliable, developed for water circulation and filtration in domestic and residential swimming pools. Also suitable for specific applications requiring handling of aggressive liquids in the fishing, agricultural, and industrial sectors. Operating range: up to 42 m3/h with head of up to 22 metres. Pumped liquid temperature range: up to 60 °C. Self-priming: up to 2 m (without check valve).